There was once a Bald man who sat down after work on a hot summer’s day. A fly came up and kept buzzing about his bald pate, and stinging him from time to time. The man aimed a blow at his little enemy, but—whack—his palm came on his head instead; again the fly tormented him, but this time the man was wiser and said: You will only injure yourself if you take notice of despicable enemies. This post was going to be about the socks I just finished for The Skipper. But the weather has been humid and hot and the darn things aren’t dry yet. I don’t really want to ask the man to put on moist socks and then subject him to a photograph session and bug fighting. He hates photograph sessions. The bugs and mosquitos are in swarm mode because of the weather. I’ve not seen so many mosquitos in my life and I once lived on a lake in Maine, so that is saying something. What with all the wet weather and now, the hots and humids, the bugs are having a great time. Instead, I want you to feast your eyes on this. Yes, the yarn is for the Charlotte Baby Sweater. 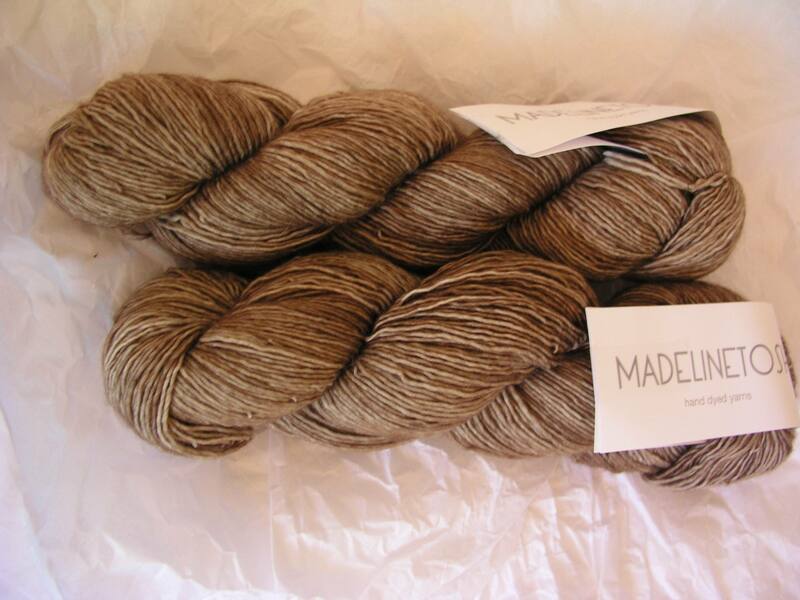 It’s MadelineTosh merino light in, get this now, the color Teddy Bear. Teddy bear…baby sweater…how perfect is that? Incredibly soft, the yarn is 100% superwash merino AND can go in the washing machine! I can’t wait to start knitting it.